Three generations, five floods, a fire, and countless hot pies; Broome County's oldest family-run restaurant is marking 75 years in business. Red's Kettle Inn on the corner of CFJ Blvd and Lester Ave in Johnson City has been run by the Sobiech family since 1942. “So many people tell me their parents came here, their grandparents came here. Themselves...” says Anthony Sobiech III. The tradition of a night out at Red's Kettle Inn has been passed down through generations, just like the stories Anthony Sobiech III has heard about his grandfather. Anthony "Red" Sobiech could usually be found sitting in the booth closest to the bar. Overseeing the operation and close enough to get a refill. “He could just holler to whoever tended the bar ‘I need another beer,'" remembers his daughter-in-law Janet Sobiech. With then five mouths to feed, Red opened the bar in 1942. “He was drafted for World War II and went down. They told him no," says Tony III. The "first Anthony" wasn't in the best shape and was told to turn around and go home to Johnson City, but he did what he could for the war effort. That meant supporting the men who would be sent overseas to fight. Red would host a proper send-off for the local boys. 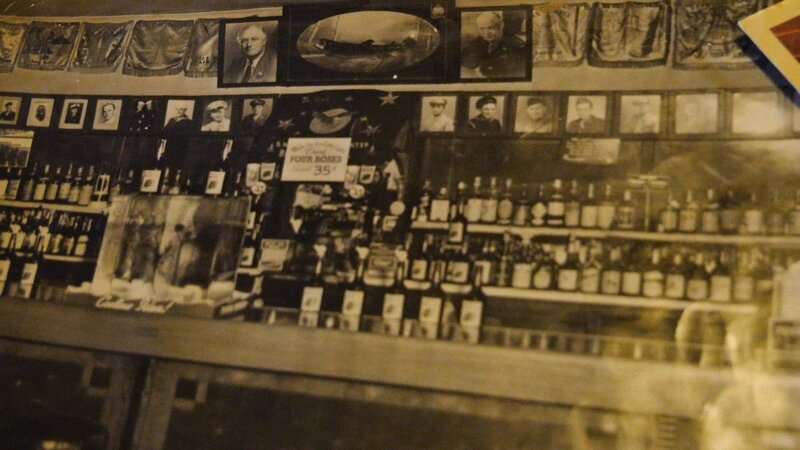 Red would then hang their photo behind the bar, where it would remain until the soldier came home. His family would come to appreciate all the soldiers who returned from Italy, bringing with them the now famous hot pies. Nice thin crust, fold it right in half. Not to be confused with pizza. 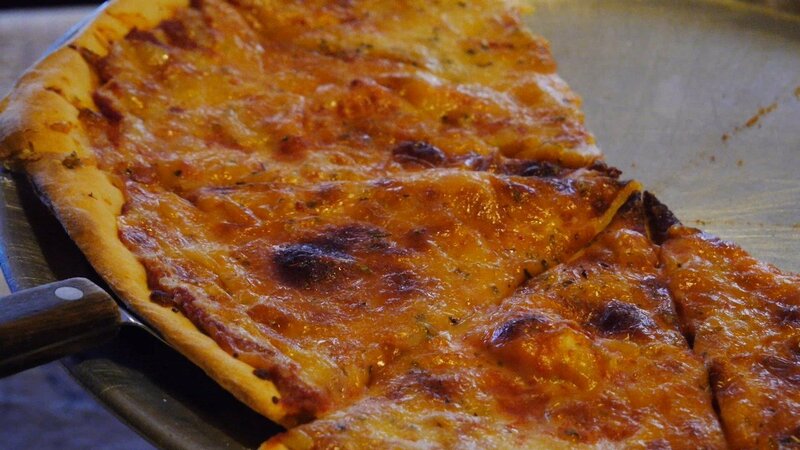 “Everybody is like ‘I want a pizza.’ No, no… Pizza is with mozzarella cheese. Hot pie is with American cheese," says Tony III. The dish became a specialty at Red's, enjoyed by famous guests such as Louis Armstrong and Whitey Ford. Johnson Field, home of the Triplets, was only three blocks away. 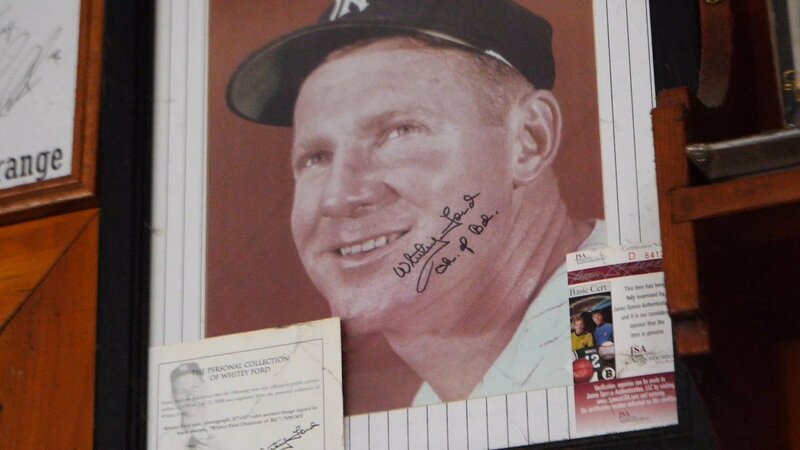 Soon enough, the bar became a second home for lots of Triplets players, helping to fill up the wall dedicated to the Yankees. That wall would become an obsession of sorts for Tony Jr. after he took over in 1973. “My dad's goal was to get all the Yankee memorabilia, the guys that actually made it all the way up to be a Yankee," says Tony III. Not only do the walls hold a lot of memorabilia, but they have also housed a lot of memories through the years. Tony III learned to read while helping dad around the bar, much to mom's displeasure. Mom may not have been a fan of her 5-year-old learning to read while stocking the bar, but he sure did learn a lot about the business which he would eventually take over in 2015. Today, each generation has left their mark. Hockey jerseys from Tony III, Tony Jr.'s Yankees wall, and behind the bar, two bottles of whiskey that Red sold for 35 cents during the war. And hot pies are still on the menu.